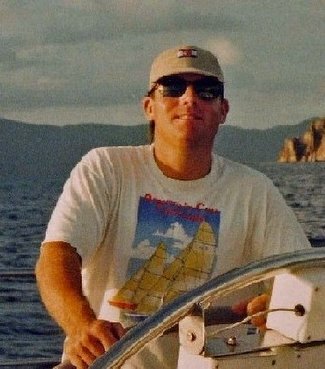 I like to highlight stories outside the mainstream sailing press – we all know and love the big races and regatta events but the fabric of sailing is woven with the thread of people like Mike Rowney. In June of 2001, while working as a delivery skipper in the Greek Isles, Mike sustained an eight-meter fall from a yacht in a boatyard onto concrete and broke his spine. Now a paraplegic, Mike has embarked on a solo around Australia sail in his 26 foot yacht Gypsy Rose to raise funds to make wheelchairs for children in third world countries. I’m incredibly fortunate to have my health and the use of all of my limbs…a favorable condition that in all honesty, I often take for granted. Reading about Mike and his determination to not let his disability stop him from living is inspiring, not just because he is making the best out of a bad lot, helping people who need help, etc…but rather because as much as I would like to think that I could have the courage and fortitude to accomplish what Mike has set out to do with the Around Australia Challenge, I’m not really convinced that I do. When getting knocked about offshore, my old captain and good friend Tom Motley was fond of saying “That which does not kill us makes us stronger.” It’s a good thought and one that Mike Rowney is living before our eyes.